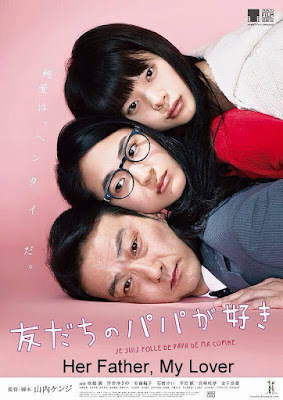 I have a major backlog of posts to write about Japanese ephebophilia;therefore, I decided to write a post about the Japanese film Her Father, My Lover (2015) [友だちのパパが好き] without an analysis and review, because I have no idea when I will get to it, the film doesn't appear to be freely available, and, maybe more importantly, I feel that the concept of a Japanese teleiophile who is completely enthralled with her friend's father is extremely interesting. This film may display a more extreme version of teleiophilia than what was shown in American Beauty (1999) which will be analyzed in the upcoming 2nd edition of The Allure of Nymphets. If and when Festival Scope gives me access to their website (I'm a writer and not a film professional. ), I'll update this post with a review and an analysis.